These six, individual, luxurious town homes are the ultimate style of living. Each home is equipped with a two-car garage and a roof garden to enjoy. The view of the bridge only gets better as you rise to each higher floor. The homes feature pre-wired technology, and each residence will be equipped to operate anything from your garage door to the lighting of your roof garden! There are in total 4 floors, including the master suite, wet bars, a deck to the roof top garden, and a dream style closet, which no woman could ever resist. The town homes conveniently sit across the street from a beautiful park, with easy access to public transportation and major highways. The Baldwin Luxury Townhomes offer a rooftop garden terrace to enjoy the views of the Ben Franklin Bridge. There is no reason not to love these residences! This entry was posted in New Construction, New Construction Townhomes on May 18, 2015 by jamieraphael. The luxurious homes of the 7inspire neighborhood are breathtaking! These $1,600,000 homes are perfect for you and your family to live in, as they are found in the McCall Catchment. These properties include a one-car garage with extra space, including hardwood flooring throughout, large windows and high ceilings throughout filling the room with beautiful, natural light. The gourmet kitchen features a European style cabinetry, your choice in tile flooring, backsplash and granite or quartz counters. These features are perfect your family and the guests that you will entertain! 125 Church Street not only offers amenities that one could dream of, but is also settled in the perfect location, in walking distance to transportation and some of the best restaurants the city has to offer. 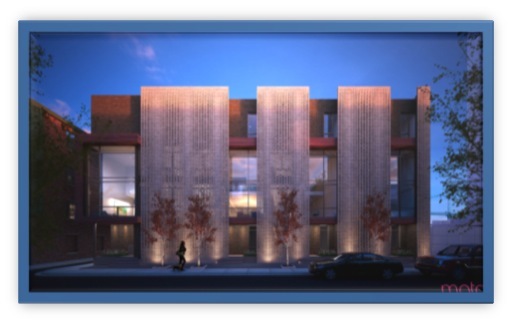 This brand new construction project is centered in the heart of Center City Philadelphia! The townhouses feature 3-5 bedrooms, 2 ½ baths, and a 2-door garage ranging from 2,600-5,000 square feet. The luxurious amenities are endless beginning with private elevators, automated sprinkler system, finished basement, and custom, luxurious kitchen appliances. Each townhouse offers its own private roof terrace perfect for gardening and entertaining. The units have exquisite views of the surrounding gardens of Rittenhouse Square and are selling quickly. These modern, innovative homes are perfect for the potential luxury home owner. Filled with beautiful natural light, these 4 bedroom homes are almost as equal in size as to that of a corner home. The luxurious 5,700 sq. ft. home features 2 car garage, interior courtyard, roof deck with pilothouse, 7 baths, and an unbelievable, and grand master suite of your dreams! What is even better about this spectacular home is that you have the ability to craft your own dream home, if you act fast! Homeowners will sit down with the design team prior and you will design all the features of your home from flooring to backsplash. The Walnut Estates is the perfect dream home offering luxury style living. Construction is expected to be done by the end of 2015 in one of the 5 gated communities of Philadelphia. The residences offer 2 car garage, 4 bedrooms, and 5 bathrooms. The amenities in each unit offer a variety of luxury finishes including hardwood flooring, built in speakers, video intercom system, home automation system, and elevator. For your pleasure the residences provide a large deck coming off of the master suite bedroom, wet bar, and stainless steel appliances. 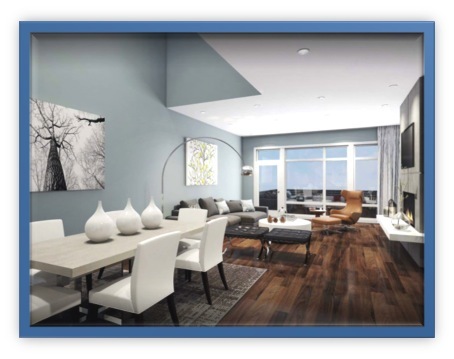 The Walnut Estates are the perfect opportunity for first time homeowners and investors. Located in the heart of Rittenhouse Square, residences can enjoy the luxury style living of their home, while also experiencing some of the most beautiful neighborhoods in Philadelphia. These luxurious homes are the kind of high-end single family homes that we don’t see going up in Rittenhouse every day. They are a great choice for families that want to live in a gated community in Rittenhouse Square. This community consists of 11 New Construction homes where you can choose from two size options: The 3100 square foot homes are 16′ wide, 3 bedrooms and come with a 1-car garage. The 4100 square foot homes are 21′ wide, 4 bedrooms and come with a 2-car garage. These luxury homes exude comfort and style with Pella windows, a Juliet balcony in the living room, oversized island in the kitchen, Quartz countertops, high-end appliances, automation systems, radiant heated floors, walk in closet, outdoor kitchen, wine cellar, wet bar, roof deck, finished basement,& NEST thermostats. Tax abatement is pending and these homes are scheduled for Fall 2013 Completion. Properties are offered at 1.6 million to 2.8 Million Dollars. This entry was posted in New Construction, New Construction Townhomes on June 10, 2013 by AgentImage. 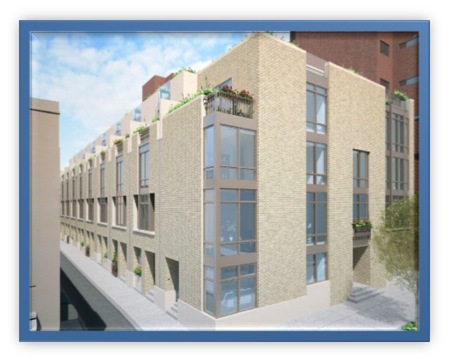 The former pain center at 12th and Lombard will be the new location for five luxury townhomes in Washington Square with two car parking, roof deck, high-end finishes & appliances, & approximately 5000 square feet of sophisticated luxury living. These homes will be listed around 1.8 Million dollars. Tax abatment pending and estimated completion date is Fall/Winter 2013. Please feel free to email me regarding the proposed architecture renderings. This entry was posted in New Construction, New Construction Townhomes on June 9, 2013 by AgentImage. h-end appliances, automation systems, radiant heated floors, walk in closet, outdoor kitchen, wine cellar, wet bar, roof deck, finished basement,& NEST thermostats. Tax abatement is pending and these homes are scheduled for Fall 2013 Completion. Properties are offered at 1.6 million to 2.8 Million Dollars. This entry was posted in New Construction, New Construction Townhomes on June 8, 2013 by AgentImage. This 3 bedroom 3 bath 2800 square foot Murray Development home in Society Hill includes 1 year prepaid parking included in sale. This home’s impressive features include an automation system with wall mounted iPad, Wolf gas range & hood, white Carrara marble kitchen counters, Viking fridge, Bosch dishwasher, wine fridge , finished basement with custom shelving, wet bar and roof deck. This entry was posted in New Construction, New Construction Townhomes on June 7, 2013 by AgentImage. These five Nexus Energy homes were built with geo/solar so they produce the energy they use. They are 3100+ sq. ft. of light-filled living space with open floor plans, sustainable wood floor, ultra-chic kitchens, full media room, four bedrooms, roof deck and patio. Each home comes w/ a smart house control system & state-of-the-art air filtration for healthy indoor air. Nexus EnergyHomes was voted the National Association Home Builders 2012 “Builder of the Year”. 10 Year tax abatement and 20k+ federal tax credit and approximate delivery date end of April 2013. This entry was posted in New Construction, New Construction Townhomes on June 6, 2013 by AgentImage. Rarely available, completely upgraded, new construction, corner property can be yours in Queen Village. This light filled property has 3 bedrooms, finished basement/bedroom. 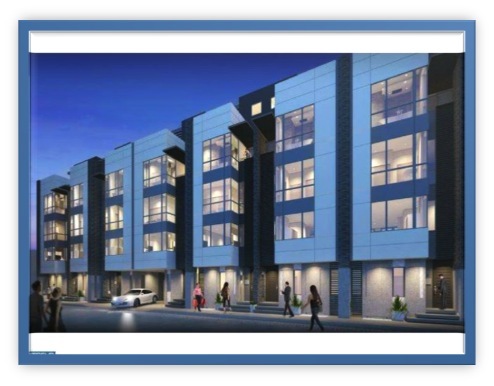 4.5 baths, 2 CAR PARKING, roof deck, 10′ ceilings, gas fireplace, & state of the art kitchen. This home will be fully upgraded with 8′ solid doors, hardwood floors, audio/visual throughout and security cameras at the front and rear entrances. If you act quickly, you can pick the finishes of your choice for this great Queen Village home. Tax Abatement pending. Please email or call me for plans and specs. Estimated completion date Fall/Winter 2013. Approximate price is 1 Million. This entry was posted in New Construction, New Construction Townhomes on June 5, 2013 by AgentImage. Three new properties all varying in size will be offered from 1.3 Million to 1.8Million dollars. If you act quickly, you can pick the finishes & modify the floor plans to your liking. Square footage will range from 3800-5100 and will include 1-2 car parking. These properties will exude the highest caliber of design & finishes. Please email or call me to acquire spec plans and drawings. 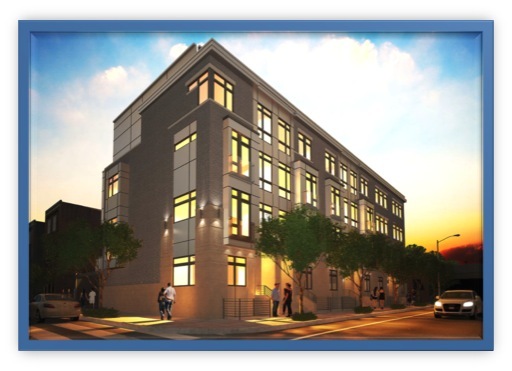 Tax abatement pending & estimated completion is proposed for Fall/Winter2013. This entry was posted in New Construction, New Construction Townhomes on June 4, 2013 by AgentImage.